This is the primary adjective that comes to mind while I was playing Tom Clancy's The Division. Not in a bad way, because the game is absolutely worth experiencing, but it is not 'fun' the way a lot of people define the term. It is addicting, it is a well crafted experience, but The Division is is a daunting game that handles its post-apocalyptic theme as effectively as any game since The Last of Us. In many ways, The Division is the game Ubisoft has been trying to build for years now. It truly feels open world in design, with a fantastic sense of scale in its dilapidated New York. Character creation is limited, but still effective due to well-designed character models and gear. Your protagonist walks out into a world alone, surrounded by a tangible sense of despair that has seeped into everything. The run down buildings, the abandoned streets, the bleak world almost seems to seep into your very pores. While it is easy to try and compare The Division to Destiny due to some similar frameworks and game design elements, but comparing them is akin to arguing that the Final Fantasy and Atelier games are the same because they are JRPGs. 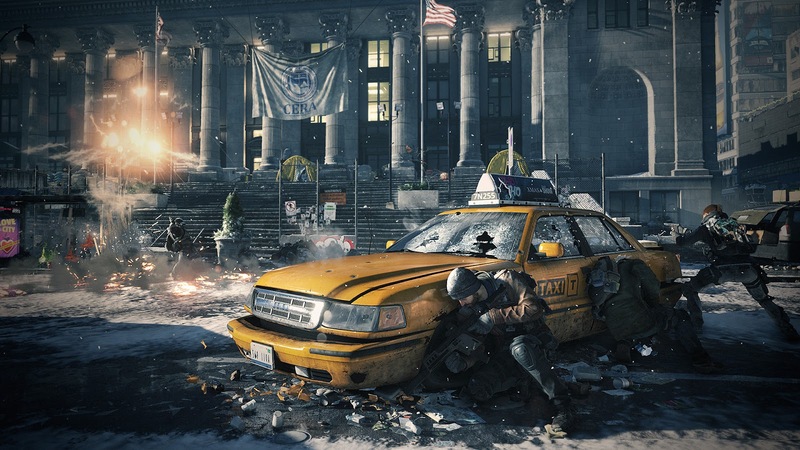 The Division is clearly the superior of the two and there is a great deal to differentiate the two titles. My primary take away is that there is a stronger story at the core of The Division than the hodgepodge collection of missions that comprised Destiny's core experience. Our desolate setting comes courtesy of a plague that has rendered everything from the governing body to daily staples obsolete creating a need for those with the strongest survival instincts and skills to fight for the right to live. The Dollar Flu is at the centre of this story, a strain of smallpox that was passed around just before Christmas. Anything but a happy holiday, but the snow dusted, cold setting makes a spectacular backdrop that compliments the music and visuals perfectly. This is a stark contrast between The Division and Destiny is that while the latter certainly looked good, the visuals were often too bright and too colourful for the kind of serious tone it was generally trying to set. Another major discrepancy between is their style of gameplay. Destiny is a first person shooter through and through, with lots of verticality and a greater sense of speed whereas The Division is a much more tactical game. 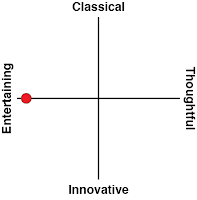 Skills and classes offer great distinction and teamwork is far more important here as well. That is the end of my comparison between the two games, because I want to drill down into greater detail about what all The Division has to offer. One of my favourite aspects of The Division is how well it works as both a multiplayer and single player game. The former makes missions with friends a great deal of fun as you try to coordinate the more difficult challenges on offer. However, it is single player mode I got the most mileage out of. I am one of those people who spent most of his time in a guild when on World of Warcraft, but almost exclusively levelled alone. The missions are built around the cover-based shooting system and really good enemy AI. It adapts well to the single player and the group effectively, and keeps the challenge brisk, even daunting at times, but it seldom crossed over into frustrating. Even when things went south on me, I had a good idea how I would approach the situation differently the next time and adjusted accordingly. The Division rewards good tactical thinking. The other thing that The Division has going for itself is a really effective loot cycle. 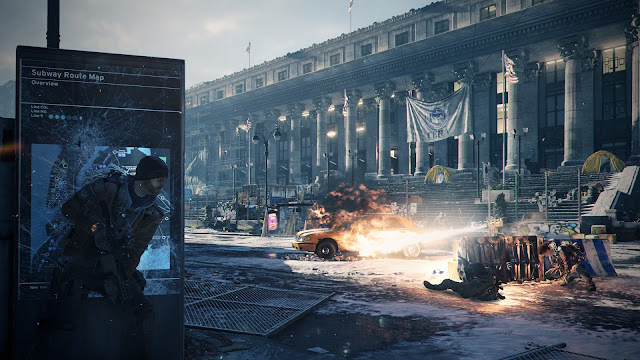 For one, the weapons all feel well-crafted, but like any shooter, some weapons will appeal to different styles of gameplay and The Division really gives you a good deal of opportunity to tackle combat in ways that suit your preferences. Every time a weapon drops, you of course want to take a look at it and see if it suits your style of play. Early on the weapons are all about stats, but later weaponry can lend attributes that add an extra layer to strategy to what weapons you choose to go into combat with. You can tear down weapons to build up better gear. Crafting is quite straight forward, relying on blueprints and these aforementioned resources to complete them. This streamlined approach keeps things simple, but it feels like constant progress and it makes for a rewarding loop. Another part of the progress cycle that really appealed to me was how the Base of Operations is structured. Unlocking new perks and abilities through it is an interesting way to handle advancing your character. Like all good advancement systems, you will have some tough choices to make and like the different weapons you can choose from, they all help you discover and build upon a style of play that works best for you. Not everything here is roses. Some of the bosses are bullet sponges to the extreme, stretching credulity as they absorb thousands of rounds. This is more believable with aliens and robots in other games, but these are humans. Some are incredibly well armoured humans but humans just the same. 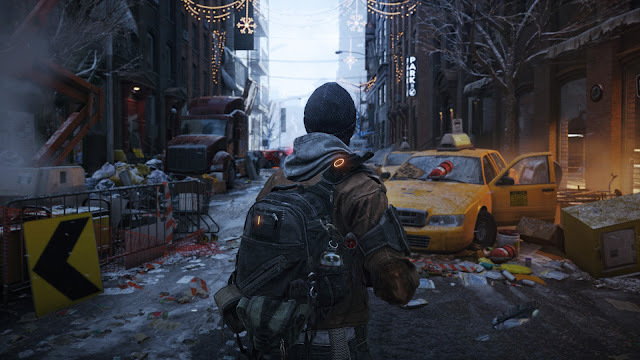 The Division has not been out very long, and there are some balance concerns as well - especially when you reach the endgame which feels very MMO-like as it tries to create something entirely different for the players who reach it and want to grind. And there are definitely moments where there is some grinding involved, and I do wish the endgame was a bit more interesting than it is. Despite the above flaws, there is so much more that this game gets right than wrong. 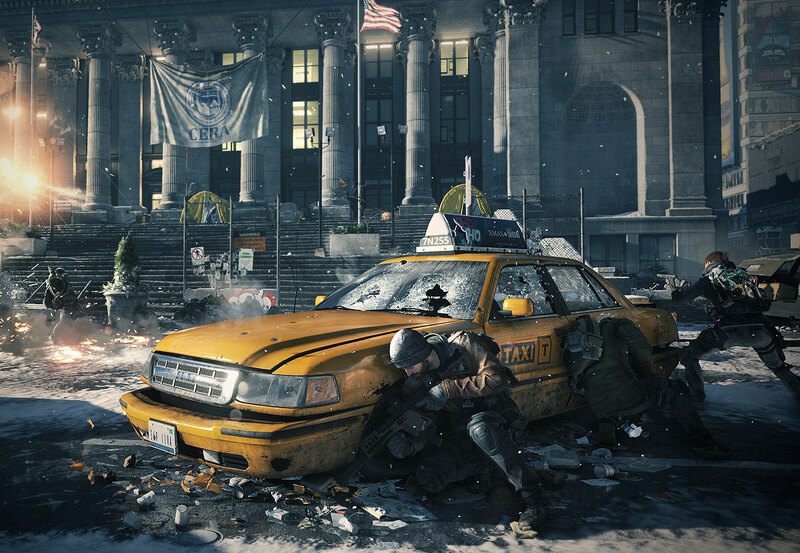 To call Tom Clancy's The Division 'just a shooter' is doing it quite a disservice. 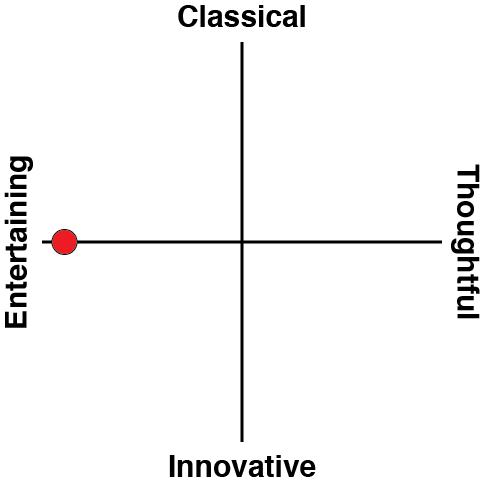 It has some elements of the genre, but it comes away more akin to an RPG when things are said and done, similar to how Mass Effect successfully blended genres and came out stronger than the individual sum of its parts. It lacks the amount of narrative control over the story that Mass Effect provides, but in most other respects The Division accomplishes the things it sets out to do. It might not be the textbook definition of fun, but the bleak world is interesting, the combat is engaging and I found progression rewarding. That is a recipe for success despite a few other smaller warts along the way.